Are your nights busy with youth sports or other extracurricular activities? The Instant Pot is the answer to that problem. But let’s take it a step farther. 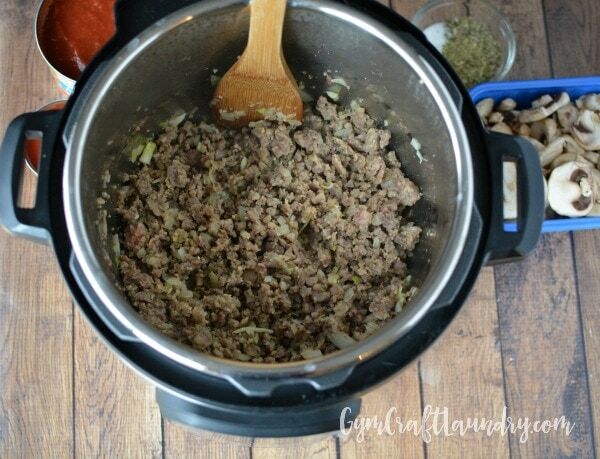 How much easier for your life would it be to take advantage of the quickness of an electric pressure cooker for one meal with more than enough leftover to freeze for a later one? Much easier, I promise. This post was sponsored by Fresh From Florida as part of an Influencer Activation for Influence Central, however all opinions expressed are my own. Affiliate links are included for your convenience. A few years ago, I ditched the convenience of ready-made spaghetti for my own semi-homemade recipe. I always make a large quantity when I cook it on the stove because it takes so long! 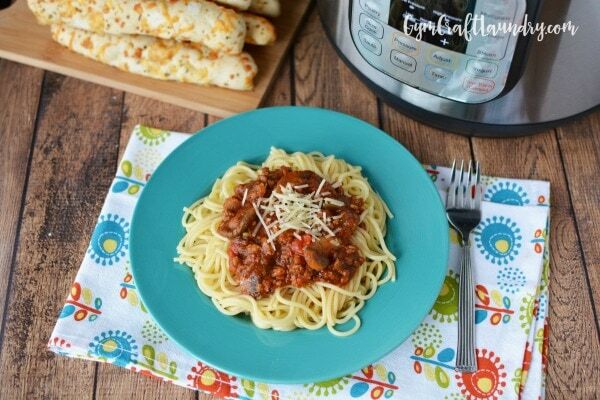 Spaghetti sauce is one of the most freezer friendly quick meal starters, though, so I would make it in batches. I prefer to make my sauce myself because I can add all the fresh vegetables I want! I live in a great state for fresh vegetables. Florida farmers make it easy for everyone to eat fresh all year. I look for food labeled Fresh From Florida or that have a sticker with the name and city of a local farm on it. 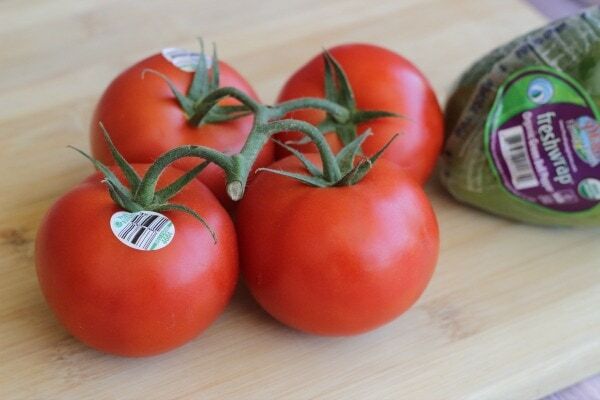 Before you head out to the grocery store, make sure you check Ibotta for coupons! First set your water to boil on the stove top for the spaghetti. Cook the pasta according to package instructions or to your liking. Set aside. 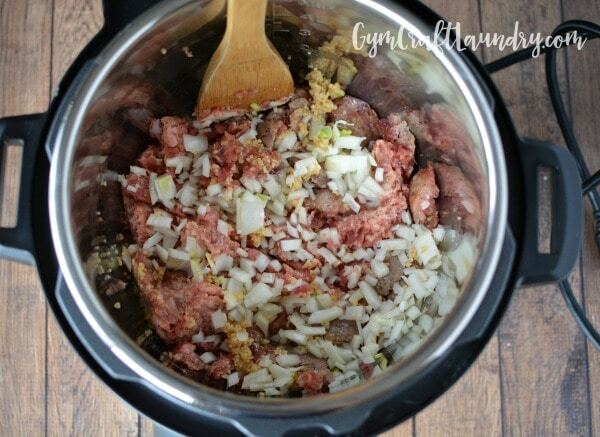 Next place sausage or beef, garlic, and onion in the Instant Pot. Select the saute function (with the lid off) and cook until meat is brown. Turn Instant Pot off. Add in remaining ingredients and mix well. Add in remaining ingredients (except for the cooked spaghetti) and mix well. Seal instant pot and close pressure/steam release. Set to manual for 10 minutes. When finished, quick release pressure/steam and open lid. Serve on your favorite pasta. Finally, portion the remaining sauce into freezer bags and freeze for a super quick meal the next time you don’t feel like cooking! Want more healthy recipes using farm fresh produce and meat from Florida? Check out these recipes and don’t forget to follow Fresh from Florida on social media! 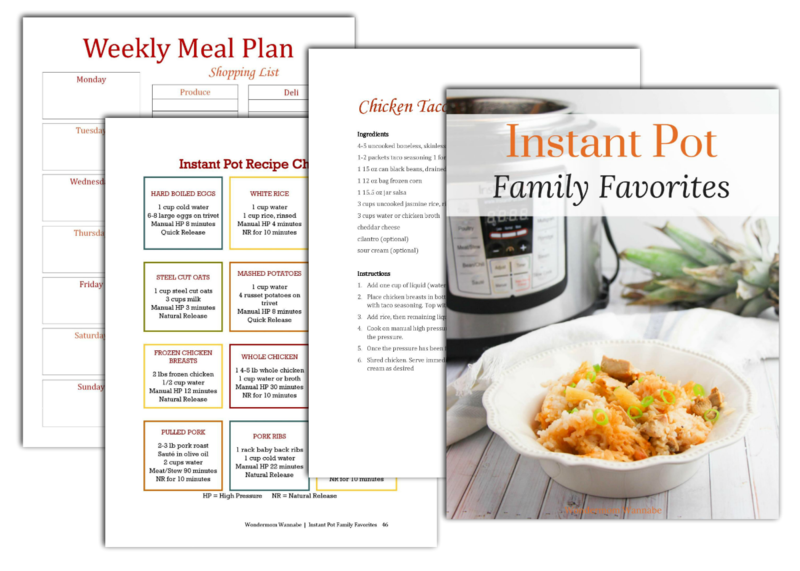 Looking for a month of Instant Family Favorites? Ok, you have me considering making my own sauce. 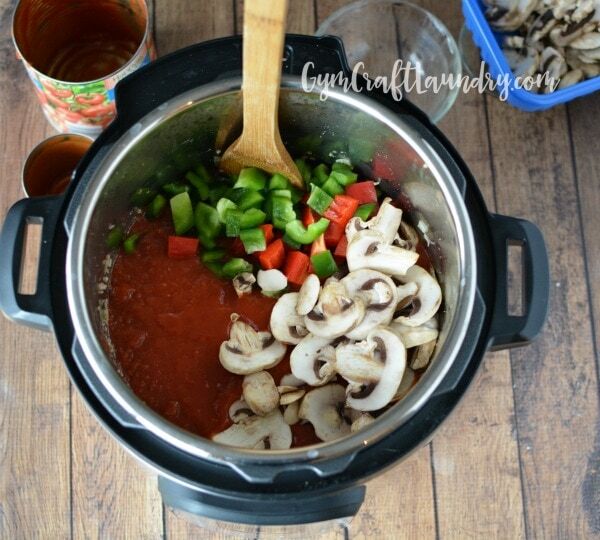 Although I don’t have an instant pot, I could still use my crockpot. I love the idea of adding lots of fresh veggies. Same concept on the stove. I just let it simmer for a really long time. The longer the better. I usually have enough sauce for three to four meals. It’s my go to when I am tempted to order a pizza. Yum! This looks super delicious! I am actually making pasta and red sauce tonight! Okay, I’m going to end up caving and getting an instapot. 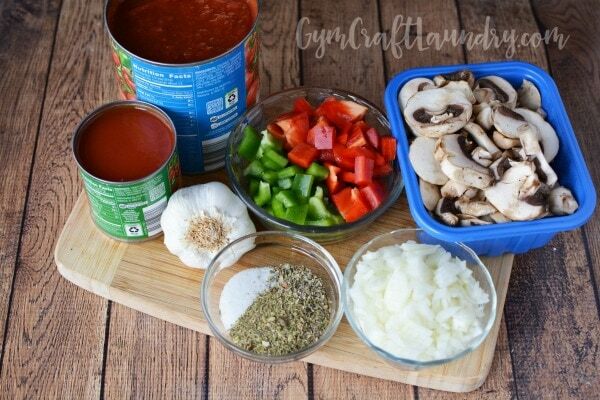 This spaghetti sauce looks too yummy! Could this be made Pot-in-pot with dry spaghetti and 2 cups of water? That would make it even easier! I haven’t tried it yet but I will do it this week and let you know! I made my sauce but used your cooking guidelines. Would do it again in my instant pot!!! Only question I have is how to get it to thicken up? Hi Tracy, does your recipe use crushed tomatoes? I use the can of crushed tomatoes instead of more tomato sauce for that recipe. Excellent and easy. Will definitely make again. I made tonight. Instead of adding two chopped tomatoes I added leftover cooked butternut squash. I also left out the sugar because the squash added a nice element of sweetness ( and was seasoned with a little brown sugar to begin with). My family all commented on how good the sauce was. I will definitely make spaghetti sauce this way again. Yummy!! Hi Nat, it sounds like you accidentally left it on Sautee. After the meat is browned I press cancel, (sometimes i press it a couple of times to make sure) and then I choose manual and put in the time. I’ve only had the burn error come on during the sautee function. When making spaghetti sauce in new instant pot, I get a “burn” warning. All the manual says is to empty pot and deglaze, then return sauce and start over. It’s happened twice. What is causing this? Thanks. Hi Judy, that happened to me once when I forgot to push CANCEL after sauteeing the meats. (To turn off the saute function.) After you press cancel, you then add the other ingredients and press “manual” plus the time.